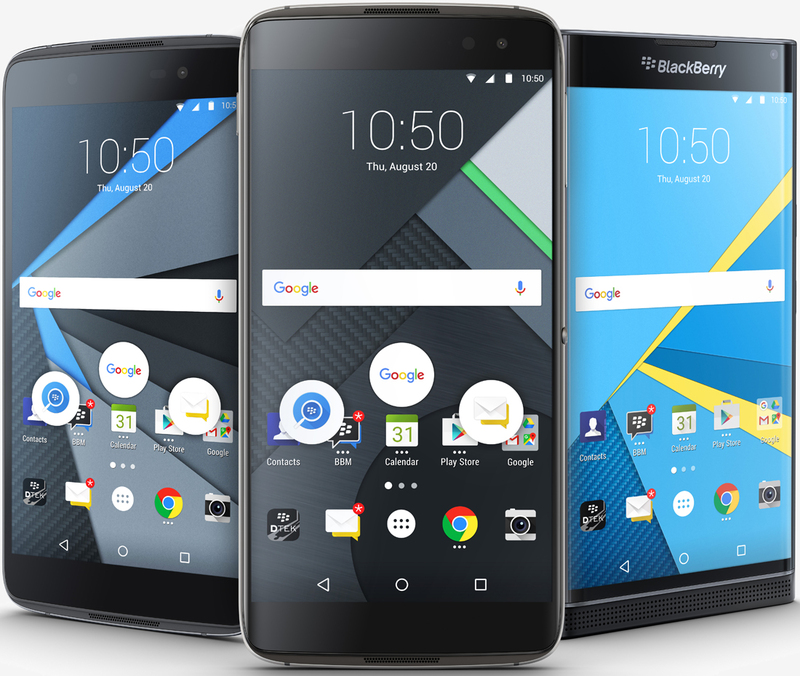 BlackBerry on Tuesday launched the DTEK60, the company’s third – and perhaps final – Android-based smartphone. The DTEK60 features a 5.5-inch Quad HD (2,560 x 1,440 pixels, 534 PPI) display powered by Qualcomm’s popular quad-core Snapdragon 820 SoC with Adreno 530 graphics and 4GB of RAM. The handset also includes 32GB of local storage (expandable up to 2TB via microSD card), USB Type-C connectivity, a 21-megapixel rear-facing camera, an 8-megapixel front selfie cam and a fingerprint reader. A non-removable 3,000mAh battery with QuickCharge 3.0 technology is said to be good for up to 24 hours of mixed battery life. It’ll ship running Android 6.0 Marshmallow with a heavy focus on BlackBerry's bread and butter: security. Less than a month ago, BlackBerry chief John Chen said he planned to end all internal hardware development – outsourcing that function to manufacturing partners – and move towards a software licensing model. The DTEK60 is based on the reference design of the TCL 950 meaning that BlackBerry didn’t really do much in the way of “manufacturing” aside from slapping its logo on the phone and installing various bits of software. Rebranding isn’t necessarily a bad thing and the specs of the device are representative of a high-end device but it is worth pointing out. The BlackBerry DTEK60 is available as of writing in the US, Canada, UK, France, Germany, Spain, Italy and the Netherlands for $499. Those that order directly from BlackBerry will receive a complementary accessory bundle consisting of a soft shell case (or pocket case, depending on your region) and a rapid charger. The company says availability in additional markets will be announced in the coming weeks.